Morning Glory Designs: Tulip Tiles Free BOM-- Block 10 Posted. . . And the winner is. . .
Tulip Tiles Free BOM-- Block 10 Posted. . . And the winner is. . . Anyway, mosey on over to the BOM page and download the FREE instructions for Block 10. This is the corner blocks for the pieced border, so you will be able to put on the remaining borders you made last month. Only two months left in this BOM -- can you believe it?? This year has gone so fast. I am working on ideas for next year already, and am thinking I will return to an all pieced quilt rather than the combination pieced and applique quilt I did this year. What do you think? Now. 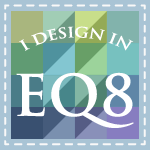 . . the Winner of the Free EQ Stash Program is. . . . .
Congratulations Rebecca. Send me your snail mail address by email and I will get your free copy of STASH in the mail to you right away. Thanks to everyone who gave me suggestions. I really appreciate your ideas and suggestions. 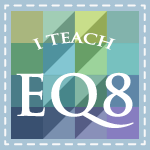 I am going to start working on EQ7 lessons to share on my blog this week. Watch for the first one in a few days. Would please me 3 B very well. The Tulip Tiles is just beautiful and I appliziere very gladly with hand. Thank you for their trouble. 3 A for me. Or 3 B. Very generous of you to keep doing this BOM! Hugs. When the little quilt applikationen are, I'm brave enough to try it, if many applications are in, I dare not and can not join me. I would therefor appreciate 2B. Traditional setting I get out without instructions. Medallion Setting dzu I need instructions help. Thank you for asking us our opinion and thank you for this great Bomquilt.Sorry for my bad english. I can better read and understand than write. For me 2A or 2B,thanks for asking our opinion and your generosity. 2A. Too much applique and it becomes a ufo for me. And I tend to like the traditional quilts more. I'd like 2a or 2c for me. 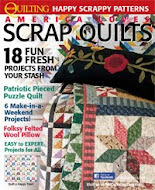 I love your designs so it is not hard to want to make one of your quilts. I vote for 1C. I REALLY don't do applque! OK, maybe just a little bit--1.5C? I love how your designs are interesting right up to the edges! Thank you Reese for asking our input! I vote for 2a or 2b but would still do it if you chose 2c...I have never done a row by row so that would be a fun new experience. Your designs are interesting all the way through! Thank you Reese for your beautiful pattern and for sharing it with us over the months. I would like to vote for 2c or 2b. For me 3B Reeze and Thank you!!! Warm hugs Ansje from Holland!